Home » Blog » Whats With The Dragonfly? 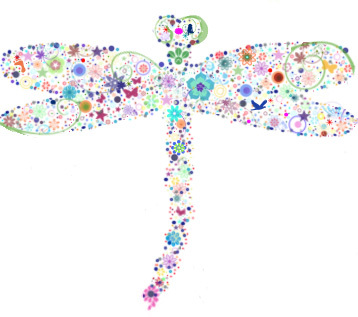 Wonder why our company revolves around a dragonfly? Libelle is actually the German word for dragonfly and that’s where our name came from. Krista is German so that’s why we chose it. We altered the spelling to Lybelle for a couple of other reasons but we wont get into that. The symbolism of the dragonfly is traditionally, the representation of transformation and life’s ever-constant process of change. The dragonfly also represents prosperity and the ability to achieve ones dreams and goals. We thought it was appropriate for what we do as creative designers – transforming your company into something beautiful and achieving your goals! That being said, having a dragonfly represent Lybelle Creations was perfect for us. I will add that the dragonfly represents many things to different cultures. In ancient Japanese culture, the dragonfly represented protection and good luck to warriors on the battle field. In many Native American tribes dragonflies symbolize whirlwind, swiftness and agility.